"Spacious rooms, good facilities, very quiet." "Good clean hotel in a good location." "Staff were very helpful with bookings and giving us suggestions." "The hotel is very nice." 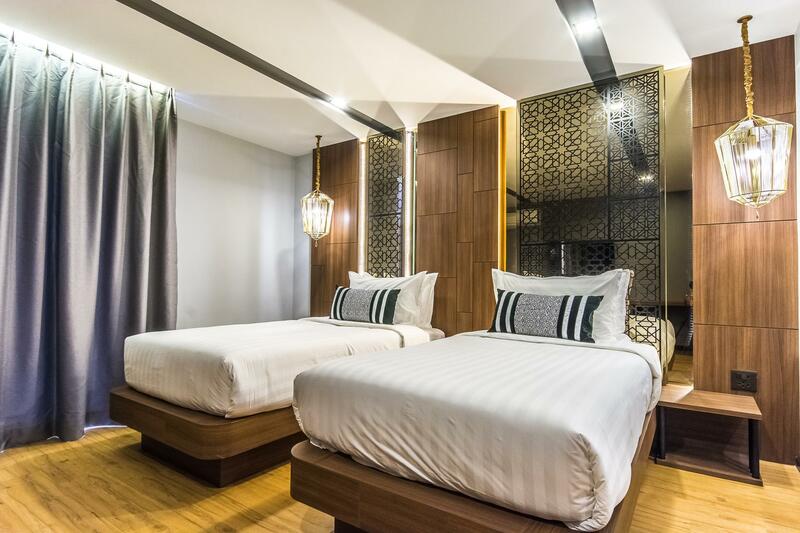 Designed for both business and leisure travel, Stay with Nimman is ideally situated in Nimmanhemin, one of the city's most popular locales. From here, guests can make the most of all that the lively city has to offer. With its convenient location, the property offers easy access to the city's must-see destinations. 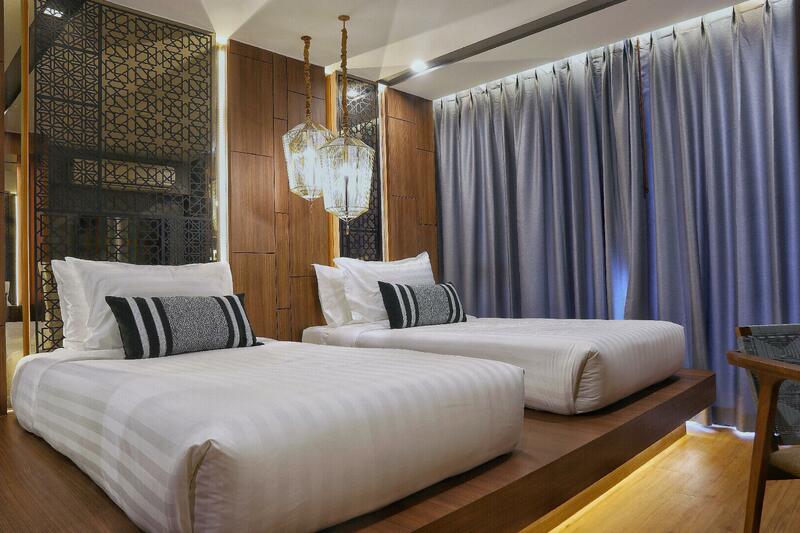 At Stay with Nimman, the excellent service and superior facilities make for an unforgettable stay. While lodging at this wonderful property, guests can enjoy free Wi-Fi in all rooms, 24-hour security, daily housekeeping, wheelchair accessible, 24-hour front desk. 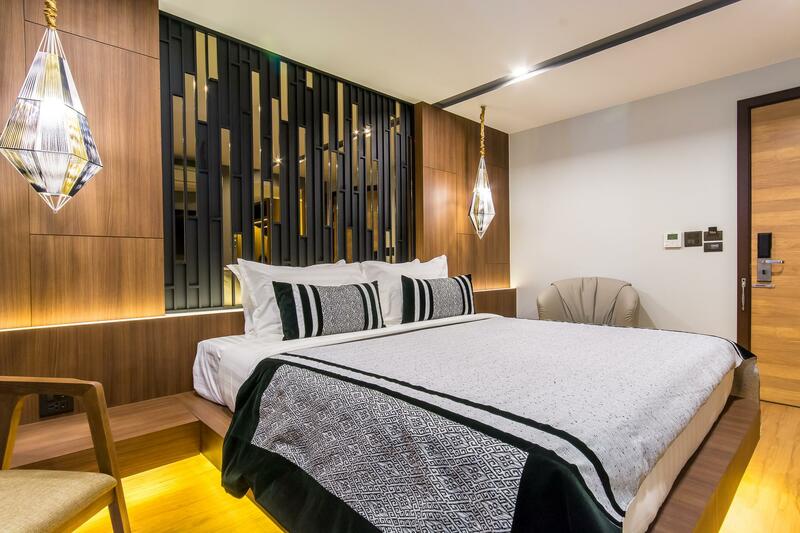 Guests can choose from 130 rooms, all of which exude an atmosphere of total peace and harmony. 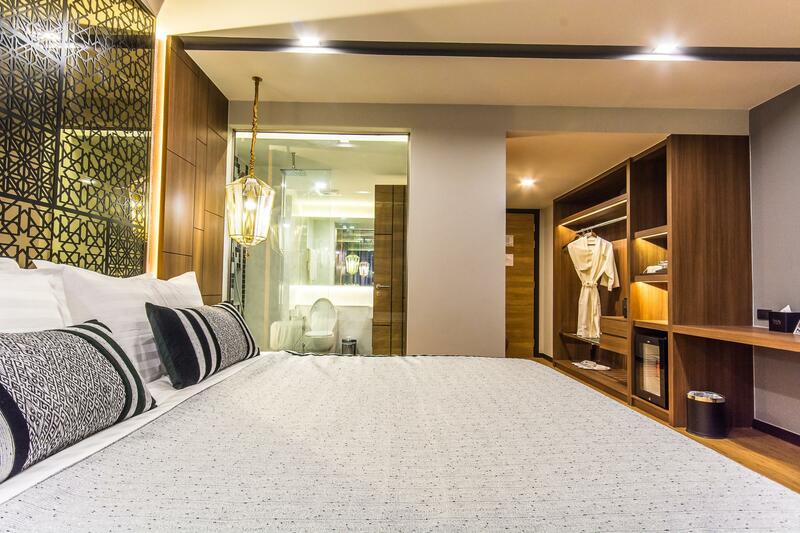 Recreational facilities available at the property include fitness center, massage. Whatever your reason for visiting Chiang Mai, Stay with Nimman is the perfect venue for an exhilarating and exciting break away. "Good location and good staffs." Every was good until we re about to check out. It took longer than usual and then the staff asked us to pay for Cola that spilled on bathroom handkerchief at check out. The CS told us to pay 120.- extra which is about $4 dollars at expenses we never heard of. She said after we pay we could take the handkerchief back !!?? We thought this doesn't make any sense, so we asked to speak with the CS manager. Less than a minute later CS told us to that we are ok go to....?!?! We haven't speak with the manager yet. May be this is a newly opened hotel. Everything was ok but services need to be improved to be called as 5 stars. No bellboy, No greeting, Parking and Front service all have more room to make it professional as 5 stars. Rooms, facilities and staffs(Receptionists and spa) are super great. All almost perfect excepts Breakfast. The restaurant is too small for the amount of guests when I asked the manager for the table and talked to my friends about there are too many people in the restaurant and most of them are Chinese, he said 90% of their guests are Chinese I was so confused coz I have no problem with Chinese people, but I have a problem with how he manage the restaurant. You know exactly how many guests stay at the hotel, you should be prepared and train staff to fill food and manage the table better. Good location and good staffs. Avoid room that is on road side, there was car/bike running even at night, the noise was quite loud. My room was especially bad, there was stinking smell from bath room. 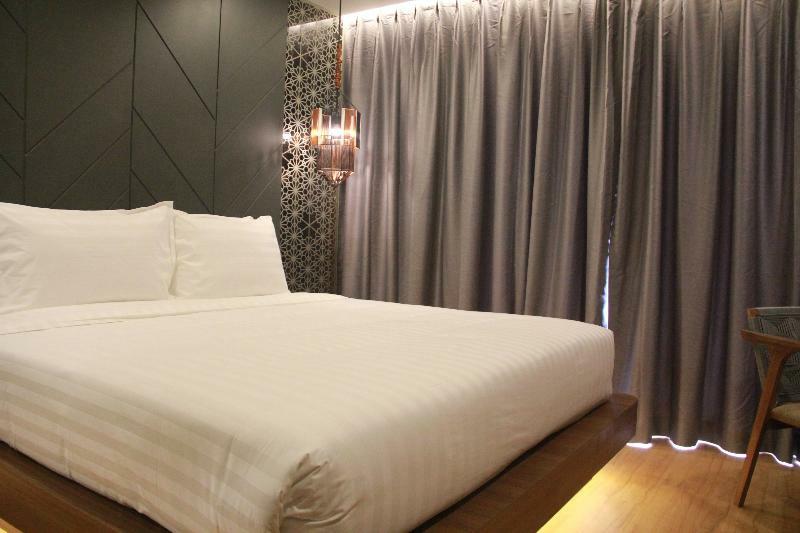 Stay at Nimman hotel is a brand new hotel in Chiangmai with every thing new and up-to-date facility. Breakfast coming with booking is also impeccable. good variety of selection in food/desserts/fruits/pastry. will be happy to stay here again. 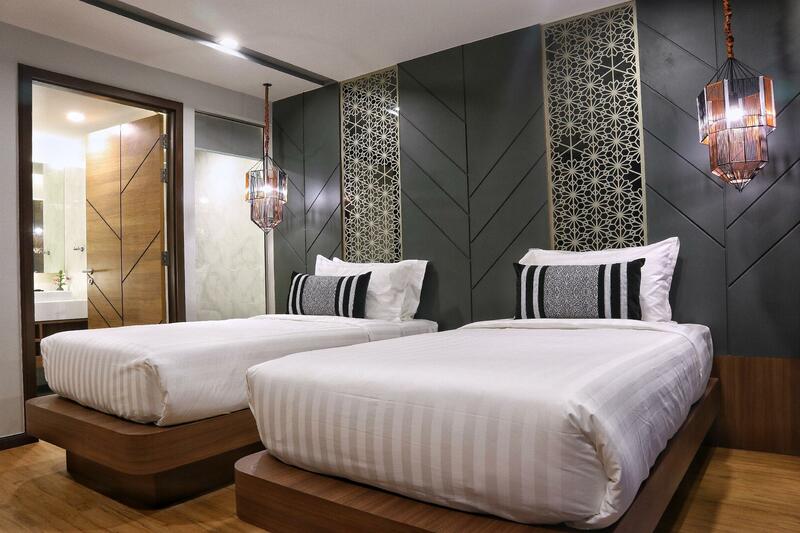 The hotel it just built smell so new with the full facilities and located in good area in Nimman close to Maya shopping mall. The only thing that I was not impressed is breakfast+coffee better go eat somewhere els. Second time at this hotel and am always satisfied with their service. The breakfast buffet is good and loved the swimming pool on the rootfop. On a clear day you have a great view of the mountains Also the staff is very friendly and hospitable. I will continue to use this hotel when staying in Chaingmai. Good clean hotel in a good location. Staff were very helpful with bookings and giving us suggestions. They upgraded us to a superior suite which was appreciated and everything in the minifridge was free! One negative was the pillows were not very comfortable and they didn't have any other types. When we were checking out, they inspected our rooms (which took a very long time). After inspection, they told us that there was one face towel missing in one of the rooms. We explained to them we requested extra towels and housekeeping had taken the face towels. however, they made a big deal of it. We booked 3 rooms for 4 nights and they mad a huge fuss over one face towel which left a sour taste on an otherwise pleasant stay. Well it would have helped if I had booked the right hotel to be with my group of Hash House Harrier friends from Phuket. My Google search came up with something similar in name but not the same hotel as theirs. Having said that it was, in the end, nice not to have to share. Unbeknown to me Nimman is a district of Chiang Mai and it seems nearly every hotel in the vicinity has Nimman in the name. The food at breakfast was good with a large choice and the staff couldn't have been more helpful. (1) There are two swimming pools on the roofs of two separate buildings but it is not accessable to each other. Therefore, it seems too small for swimming. (2) I want to add the breakfast after I made the reservation. The hotel promised to offer me a discount price on the Messager of Facebook but when I reached the hotel the staff of the reception refused even I showed her the confirmation. It was rare to happen in other hotels. Establishment was impeccably clean and new. All staff were eager to please and extremely friendly. Stayed for 2 occasions and were not sorry. Be nice to reception and you may be upgraded. i did and for both times. Spa treatments were amazing and highly recommended. Special thanks to Arm, Yai, Yin and Junior. i wish to come back next year. I didn't rate the facilities because I haven't visited the gym yet, (edit, I had to rate the facilities to submit the review. I'll have to trust that the gym will meet my standards LOL.) but I have zero complaints about this place. The price is very competitive and the location is great; a quiet yet bustling and hip neighborhood with plenty of shops, restaurants and bars. The hotel is very nice. Staff are among the best staff.They are very helpful and do their job excellent. The view is fair compared to the price.Food is average.Room is very good.Recommend this place 100%. The most comfortable is location. It is near maya mall and restaurants and some pagodas. Anyways the room is abit small. 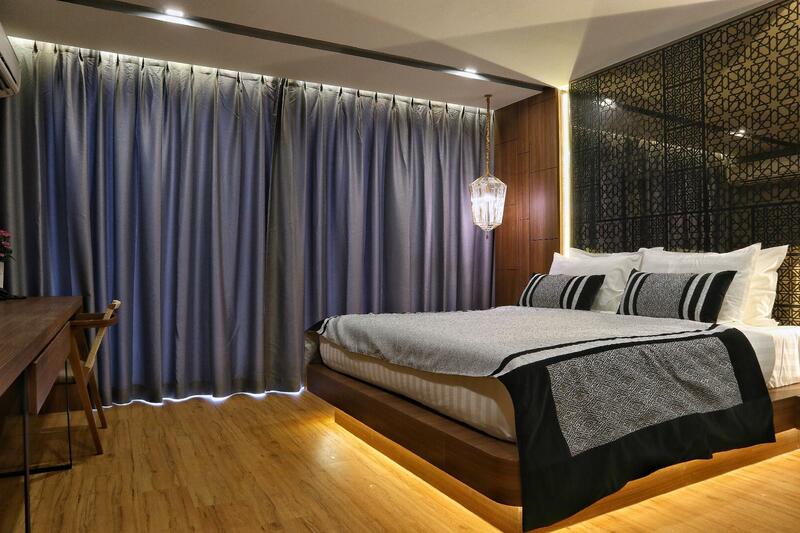 The decorations in the room look beautiful but it is abit in comfortable because of the lamps near the bed is too close. I was afraid that It could hit with my head when I get up. Spacious rooms, good facilities, very quiet. Good location if you have a car. Can easily walk to Nimman. Room never clean until reminder was given. Good area. Roof top swimming pool was refreshing after walking all around. Staff helpful and professional. Rooms were very comfortable with quiet ac. Very nice lighting and glass shower stall so gives a very open feeling. I stayed an extra night since it was a good deal on line. Stay with Nimman was the best hotel we stayed at throughout our travels around Thailand. The price was amazing for such a great quality place. Everything in our room, from the sheets to the bathroom, was spotless. And free minibar and waters? Yes! It is a bit of a walk to old town, but it is easy to take one of those red trucks. 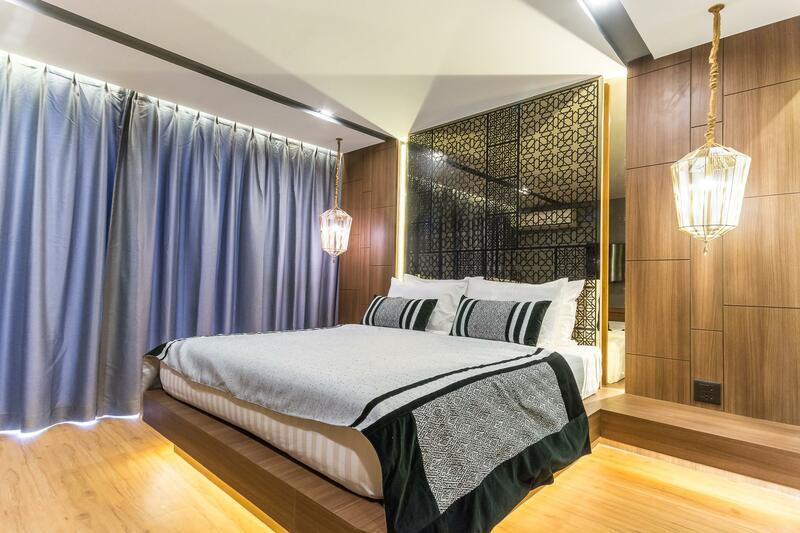 Also, there is a lot to do around Stay with Nimman as it is a more modern growing location. A must try in Chiang Mai is khao soi noodles!